Meir Lewis is the fourth addition in 2017 to Deutsche Bank's Financial Institutions Group in the Americas. Despite many of Deutsche Bank’s global units seeing a consolidation in recent months, one segment that has seen a continued uptick of hires has been its Financial Institutions Group (FIG). Per its latest addition, Meir Lewis will be joining the FIG as Managing Director and Head of Insurance Investment Banking. Deutsche Bank’s FIG platform has made four senior hires over the past few months, part of an added emphasis on its Americas Corporate Finance group. This contrasts strongly with its European operations, which collectively have seen a string of marquee departures over this same period amidst an industry consolidation. In his new role Mr. Lewis will be based out of New York, reporting to Celeste Guth, Deutsche Bank’s Co-Head of Global FIG. The hire represents Deutsche Bank’s shifting focus as it is in the midst of a global restructuring plan. This has seen thousands of personnel cuts, the winnowing down of trading desks, but also the re-allocation of resources and talent, particularly in North America. 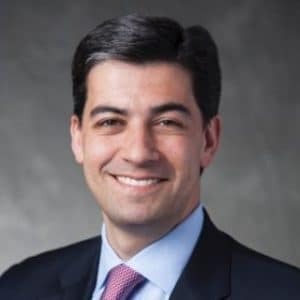 Mr. Lewis joins Deutsche Bank from rival Morgan Stanley, having worked there for the past seven years in its investment banking space – this included an emphasis on the insurance sector, whilst focusing on large-cap P&C carriers, specialty mid-cap companies, and life and reinsurance clients. This followed a decade-long stint at Citigroup Global Markets that extended back to 2000, which saw him rise in the ranks from analyst to director. During his tenure he also worked primarily in its investment banking unit, paving the way for his eventual appointment at Morgan Stanley, according to information made public on his Linkedin profile.